24 Jan 2019 --- Former Mayo Clinic neuroscientist Daryl Rhys Jones has developed and launched “Sophrosyne,” a brain-health supplement derived from the combination of four nootropic ingredients – ashwagandha, curcumin, bacopa monieri and hericium erinaceus. The supplement is touted as holding cognition and memory improvement properties. It is also suitable for seniors and people looking to improve their memory, as well as military veterans and athletes who have experienced head injuries, according to Jones. “With its unique mix of ingredients present at clinically active doses, there is nothing as effective as Sophrosyne,” says Jones. Jones and his team evaluated hundreds of ingredients that help the development and function of the nervous system, including the brain. The four most effective ingredients they found, based on their memory and cognition-building properties, were used in formulating the supplement. Click to EnlargeAshwagandhaAshwagandha, also known as winter cherry, or Indian ginseng, is an Ayurvedic herb traditionally used to counter the reactions of stress by reducing the amount of cortisol released in the body. The herb, which has been used for centuries, is experiencing worldwide growth thanks to a growing body of clinical evidence. The adaptogen has also been proven to regenerate damaged brain cells. Curcumin is a natural chemical produced by some plants. Featuring antioxidant properties, this ingredient is touted as helping to maintain a healthy environment within the brain by removing unwanted proteins. An 18-month University of California, Los Angeles (UCLA) human clinical trial confirmed that consuming 180mg of curcumin per day led to significantly enhanced memory and focus. 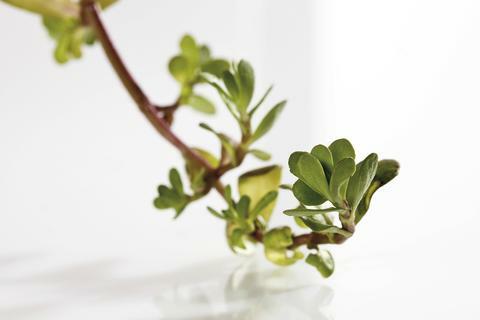 Bacopa monnieri is a herb that has been demonstrated to enhance cognition and memory, and decrease the rate of forgetting newly-acquired information in at least four randomized, double-blind, placebo-controlled human trials. It was also shown to prevent the breakdown of neurotransmitters essential for cognition and memory. Hericium erinaceus, also known as Lion’s mane due to its unique appearance, is a medicinal mushroom has been found to increase levels of peptides essential for the survival of brain cells. In a 16-week double-blind, parallel-group, placebo-controlled human trial, a high dose of this ingredient was found to improve cognitive function in seniors. “Our research shows that these four memory-boosting and cognition-enhancing ingredients, when consumed in a daily capsule, deliver the most impressive results in improving cognition and memory,” says Jones. 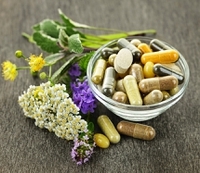 Sophrosyne includes only four basic ingredients and the researchers warn against taking supplements with a long ingredients list, due to the danger of losing the protective effects of a product that likely contains only minimal amounts of each ingredient in one capsule. Click to EnlargeBacopa MonnieriA daily dose of Sophrosyne contains clinically active doses of 500mg of ashwagandha, 180mg of curcumin, 300mg of bacopa monnieri and 500mg of hericium erinaceus. The product retails at US$59.99 per 90-capsule bottle. With consumers are increasingly looking for all natural solutions to combat stress and boost brain health, adaptogens and ashwagandha are expected to see an increase in NPD. 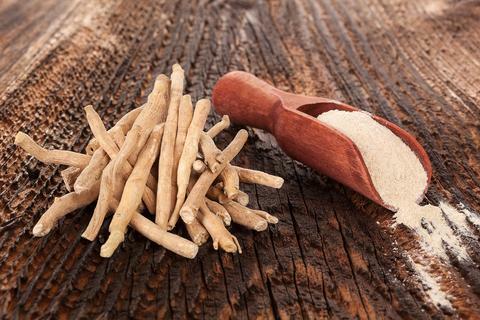 According to Innova Market Insights, the growing consumer demand for natural remedies to fight the daily stresses of modern life has boosted ashwagandha as an ingredient. Innova Market Insights data haves shown a comparative increase of 48 percent in the number of food & beverage launches globally when comparing 2015 and 2018. This market potential has not gone unnoticed by suppliers, with Arjuna Natural and Sabinsa among those announcing the launch of ashwagandha ingredients this autumn. The US leads in the commercial application of ashwagandha in food & beverage launches. In fact, Innova Market Insights reports that the number of food & beverage launches reported in the US is three times higher than those reported in India (2015 to 2018), ashwagandha’s country of origin. Ashwagandha’s growth is especially strong in the sports industry. According to Innova Market Insights data, 1 in 3 product launches of the ingredient has been under the nutritional sports category globally between 2015 and 2018. A further 2 in 5 launches featured an energy or alertness claim. NutritionInsight spoke with a number of industry experts on the ayurvedic herb’s market potential at the HiE 2018 in Frankfurt, Germany.